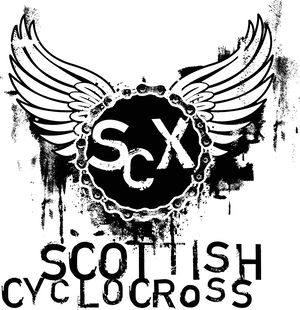 Unfortunately due to the severe weather warnings and difficulties on the roads, Scottish Cycling is disappointed to have to take the decision to postpone this weekend’s Scottish Cycling Cyclocross Championships in Irvine. This decision has been made in line with the other major sporting events which were scheduled to take place this weekend and have also had to be cancelled or rescheduled. Whilst everything has been done to ensure a safe course and access to the course the safety of the riders and officials getting to and from the event is paramount. 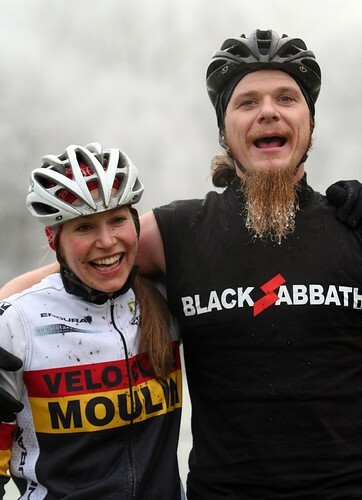 A decision on whether the event will be re-organised will be made in the next couple of weeks and communicated on the Scottish Cycling and Scottish Cyclocross Association’s website. In the meantime, if riders wish to have their entries refunded please contact the event organiser directly - contact details. It's a sad decision, but ultimately, the right one. It would have been wrong if someone who, in normal conditions, would have been in with a chance of winning, but can't because the weather prevents them getting there. I'm sure there are riders who would have gone through hell and high water to be there, but unless everyone who wants to ride is able to pull up to the start line, then it's a no-race. disagree totally neil... i was planning to ride this one and was banking on a high no-show count; youve gotta be in it to win it and all that. i may turn up on sunday and complete the unofficial scottish champs... could someone send me a photo of the trophy. then again i might not bother as it is a wee bit cold. Thank you for making a clear decision and in good time before Sunday. Can't of been an easy one to make, but I agree with Neil it is the right one given the difficult weather conditions - can't say I was looking forward to the drive cross country from Peebles on Sunday morning (was looking forward to racing though!). I really hope the Champs race can be rescheduled though rather than cancelled. Decorating duties on Sunday for me then..! Based on the weather in the West this morning, I'm not sure that this decision has been made too soon! I think the road conditions just now are infinitely better than they were last week for the Kings Park Race! I see no reason why the original deadline of 6pm on Saturday could not have been adhered to! The weather in the East may be considerably worse but this is a winter sport and the weather is always a factor! How far away does bad weather have to be for an event to be cancelled? I hope the race can be resheduled. It will ironic if tomorrow is a lovely day in Irvine and the race is rerun on a horrible day in January. Its been a great series of races so far - well done to everyone concerned. I haven't been to the course today, but the thaw/freeze last night is likely to have made the car park at Irvine unsafe, and the course sheet ice! We are going down tomorrow to train anyway, but it might well have been that I'd have had to cancel due to unsafe course & car park! just back from a great day out at the Irvine beach park where the sun was shining and the tempreature 6 above, car park was clear from ice, no snow on the ground, even the sand was soft(not frozen). Can't help but think the wrong decision has been taken given that my 40 odd mile drive was problem free. Will the entries reopen for the revised date, for those who couldn't manage the original date but may now be able to race? We've checked with Scottish Cycling and entries will not open again. 2010 race licences will be valid.